Created for Europe, the Jeep Grand Cherokee S Limited goes on sale in September staring at about 60,000 euros. ALBA, Italy – With three new SUVs, a key soccer sponsorship plus an expanded dealership network, Chrysler Group's Jeep brand aims for sales of 125,000 units by 2015. That would be a big increase from Jeep's European sales of 23,745 units last year, but the brand has generated momentum. In 2011, Jeep was Europe's fastest-growing brand with sales up 62 percent, according to the European automaker association ACEA. In the first four months of 2012, Jeep continues to be Europe's fastest-growing brand, with sales up 52 percent to 9,807 units. "Our current [goal] is 30,000 European sales this year, but it is hard to predict how the market may perform for the remainder of the year," said Jeep Europe Marketing Director Yann Chabert at the European introduction of the Grand Cherokee SRT. Worldwide, Fiat-Chrysler CEO Sergio Marchionne wants to sell 800,000 Jeeps in 2014 – up from 592,000 last year. Europe is Jeep's biggest export market. The U.S. brand originally wanted to sell 125,000 units here in 2014, but the weak market may delay that goal by a year, Chabert said. Jeep's first small SUV will be a Fiat-based 4200mm long "baby" Wrangler code-named B-SUV. Starting in mid-2014, it will likely be built at Fiat's Mirafiori plant in Italy and sold in Europe, North America and South America. The vehicle will share its underpinnings with the Fiat 500X small crossover. 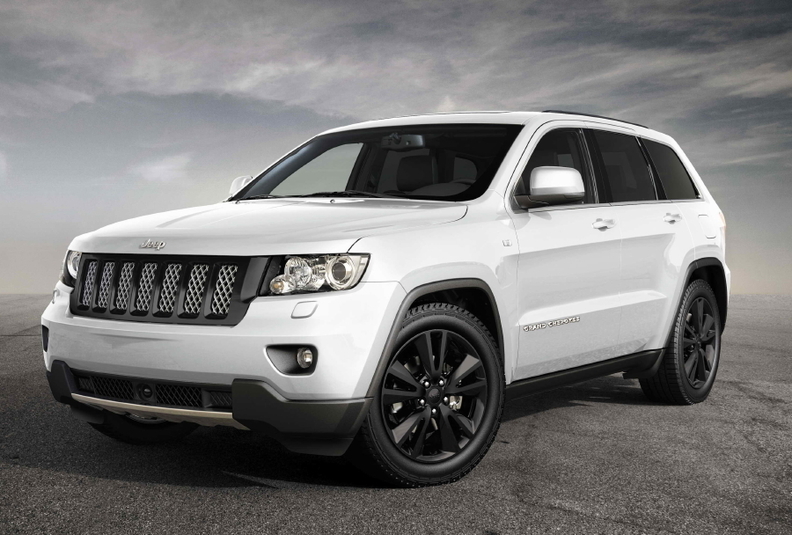 A redesigned Cherokee medium SUV (called the Liberty in the United States) will be exported to Europe in the second half of 2013. The new model will be more fuel-efficient, with a 170-hp, 2.0-liter, four-cylinder Fiat diesel engine. About 95 percent of the Jeeps sold in Europe are powered by diesels. A single SUV will replace the Compass and Patriot compact models. About 4400mm long, the U.S.-built vehicle will arrive in Europe in late 2014. 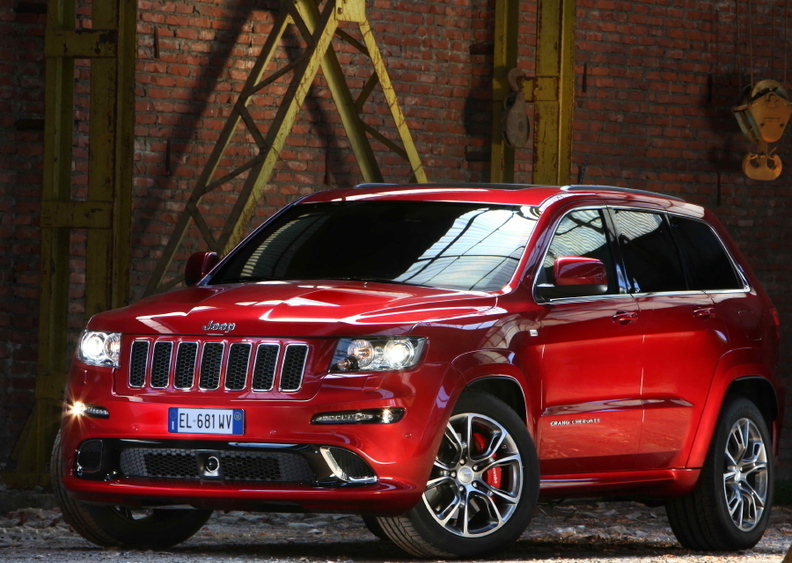 With a 468-hp engine, the Grand Cherokee SRT is the most powerful, fastest and most expensive Jeep ever. The model will sell for 76,000 euros; Jeep hopes to sell 500 units in Europe. To increase brand awareness in Europe and beyond, Jeep will sponsor Turin's Juventus soccer club for three years beginning this summer. Juventus, which like Fiat-Chrysler is controlled by the Agnelli family, has won 28 Italian championships. Media reports in Italy speculate that Jeep paid 30 million euros to secure the three-year sponsorship. The soccer team has an estimated 295 million fans worldwide, including 82 million in China, 18 million in the United States, 12 million in India and 11 million in Italy. Jeep also is expanding its European network of dealerships. By the end of April, the brand had 518 dealerships in Europe, up from 430 in June 2011, when a large number of Lancia dealerships began to sell the brand. By 2014, Jeep aims to have 650 European dealerships. The growing network of dealerships should give a boost to Jeep, whose sales are still well below its European high of 48,000 units in 2007. In Europe, Jeep struggled with an aging product lineup and the financial troubles of parent Chrysler, which filed for U.S. bankruptcy protection in 2009. In 2010, Jeep's European sales fell to 14,678 units, but the brand began its recovery after Fiat took over European distribution. Last September, Fiat also became Jeep's distributor in Africa and the Middle East.